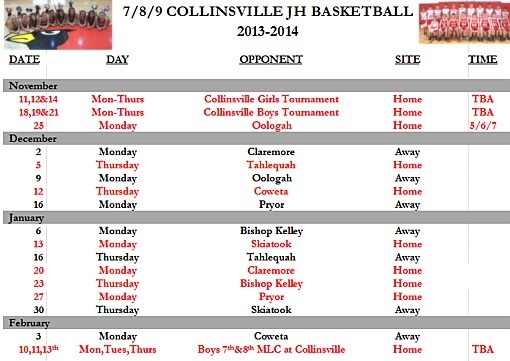 The dates on the JH BB schedule for the 7th and 8th grade boys Conf. BB tournament are wrong. The dates are Feb. 10, 13 & 15. Starting times are 5:00 on the 10th and 13th. 10:00 on the 15th.